The movie titled Solargraphy [english|español] made by Maciej Zapiór and Gaizka Taro explaining the basics of the solargraphy. More info in other languages. 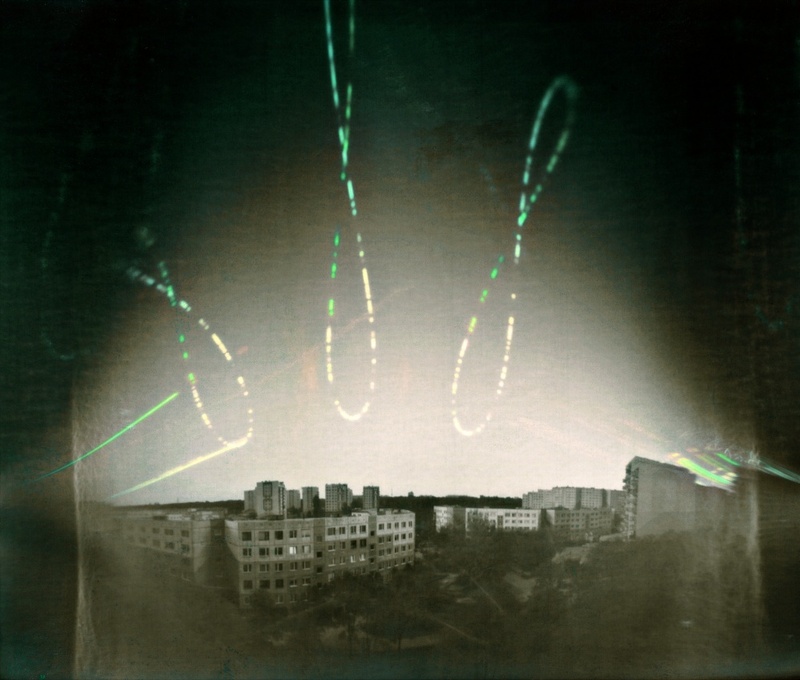 In 2000, Slawomir Decyk , Paweł Kula and Diego Lopez Calvin invented solargraphy, a technique that allows to record tracks the sun in the sky during the extremely long exposure times. 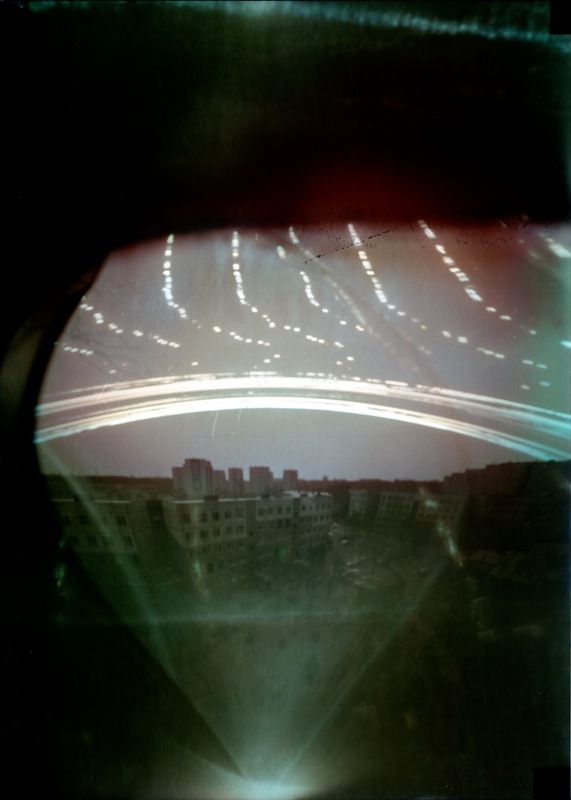 It is a combination of pinhole photography with a totally innovative approach to the use of photographic paper. Black-and-white photographic paper is photosensitive itself. Incident light causes blackening of the paper without any chemical development. This property of the paper was known for a long time, but due to the low effective sensitivity have not been applied. No one had ever planned exposure of photographic paper without the use of developer and fixer. 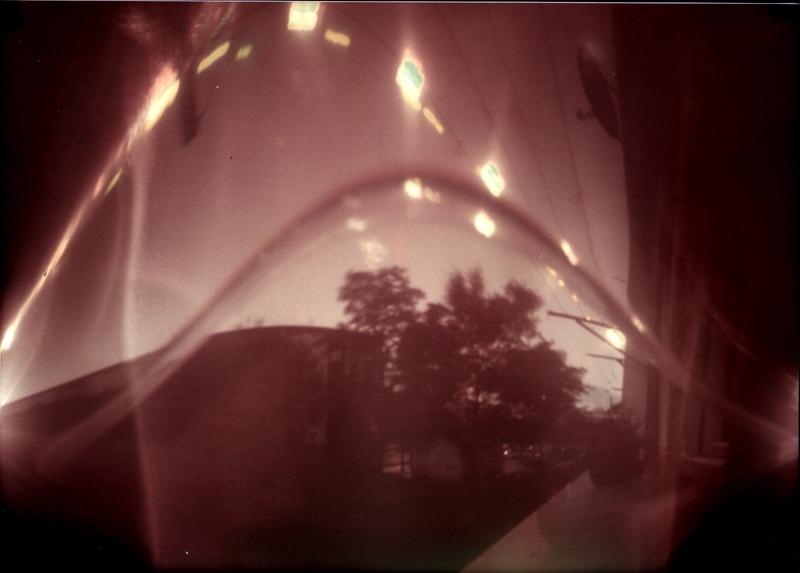 The use of a dry paper in combination with pinhole camera extends exposure times from one day to six months or longer. 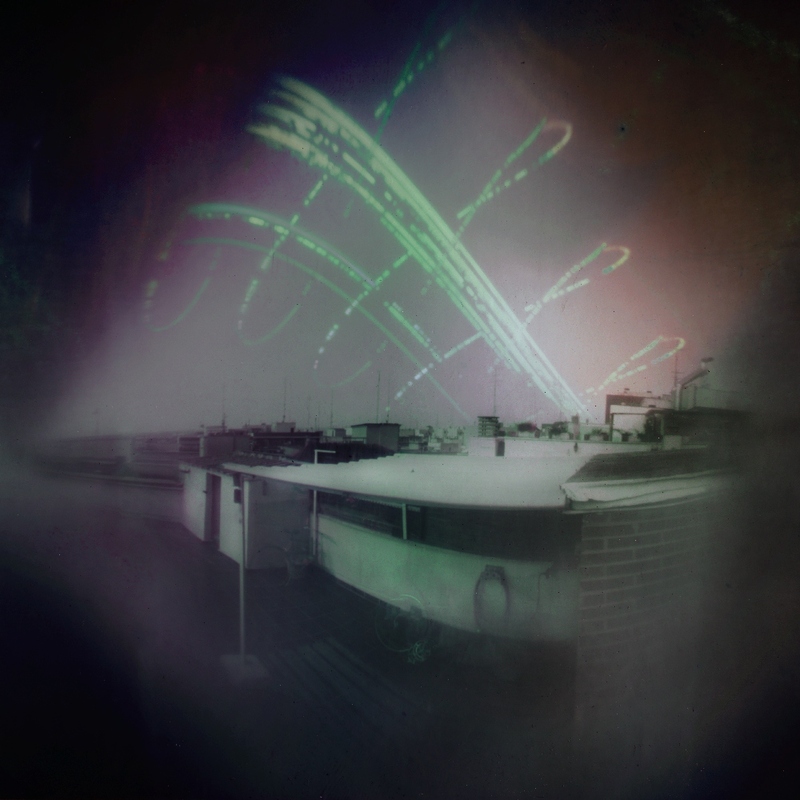 The amount of light which goes through the pinhole (with a diameter less than 1mm) makes moving objects invisible in solargraphs. No people, no animals, no cars on the street. It remains only to what was motionless the whole time during the duration of the exposure. Only one registered object in motion is the Sun, which leaves bright curved lines one above each other, broken by periods of cloudiness. Each line corresponds to one day. Every day the Sun is plotting a path at a different height above the horizon. This opens the possibility to register analemma. 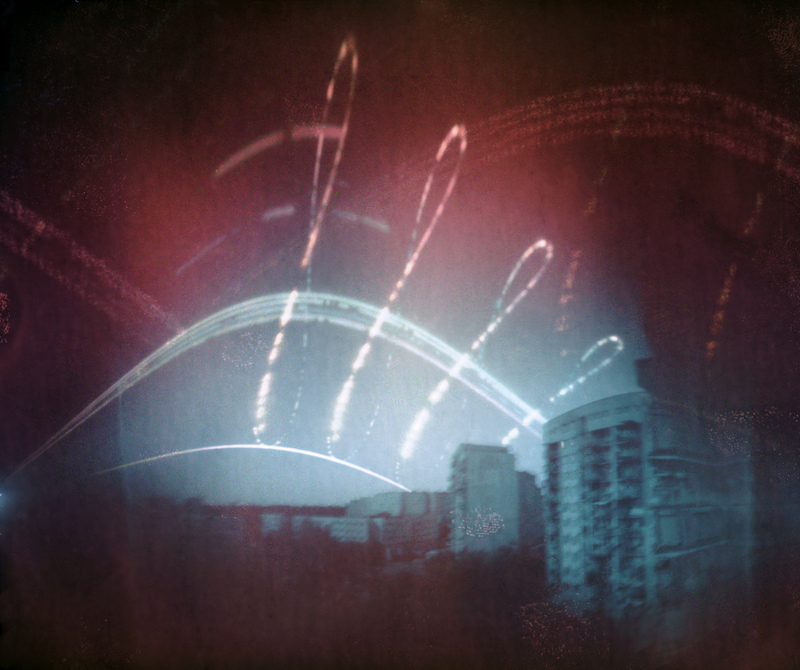 Solargraphy technique requires specific character: patience. However, the attempt to capture the analemma forces one to go even further. Requires knowledge necessary for its registration. Thinking over the entire project deeply into various aspects: the direction of the field-of-view of the camera, expositiom period, exposition time, how to solve the problem of accurate timing, power supply, etc. If all this would succeded 365 times the success will be possible. 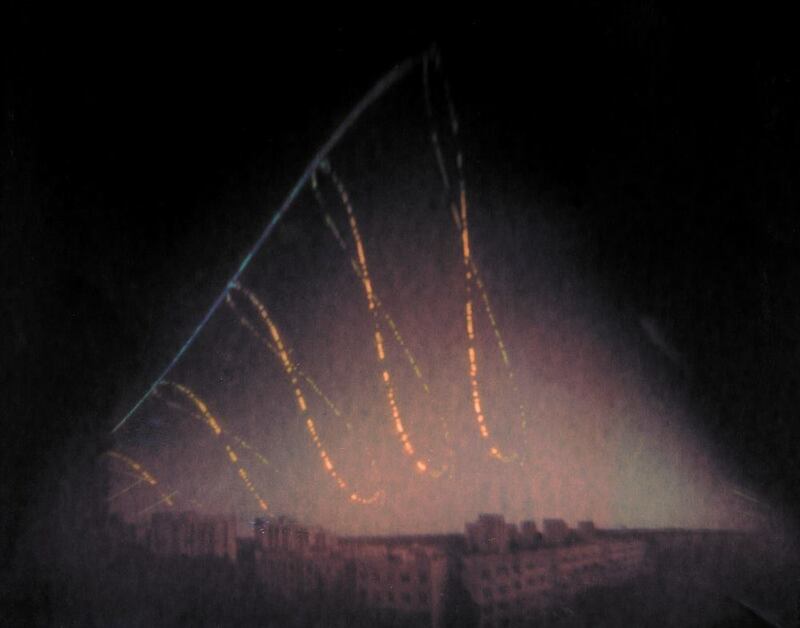 Analemma captured by solargraphy is unique: it is recorded on a single frame without overlapping or digital image capture. It is the first ever exposed every day. Analemma - a record of movement of the celestial spheres inaccessible to human senses. The ability to capture analemma is available only for persistent, consistent, patient, having astronomical knowledge ones. Analemma arises when during whole year, every day and exactly at the same time one records the position of the Sun in the sky. It's like going to the gym daily: each day the muscles repeat the same movements thousands times creating the effect. Visible effect. After the result, we can imagine the amount of work. As people treading path in the grass. As a recess in a chopping board. As wiping stone steps in old churches caused by putting feet in the same place y different people for centuries. For this you can compare cathing the analemma. The analemma has both aesthetic and scientific values. Visually, at first glance, you can see a big figure eight in the sky. The shape of this figure, however, is determined by the celestial mechanics. By the laws of physics, which are valid for all objects in the universe. All atoms, molecules, living creatures, planets, stars and galaxies. To understand the mechanisms that govern the shape of analemma one needs mental effort, which opens further and deeper areas of aesthetics, stored in the structure of the Universe . It's as if the glass balls scattered randomly form pattern. Pattern which is stable and reproducible, but visible only at certain moments and in certain places only for someone who knows how to look. The atoms which are diffused randomly organizing themselves under the laws of physics in an increasingly hierarchic structure. No longer single atoms, but the stars, planets, people, which are the subject to the eternal laws of motion. Earth, as one of the planet, is on such and not another orbit, with such and no other period of revolution, orbit ellipticity, inclination of the axis and period of rotation. These periods and shapes affect shape of the analemma. Shape which is present and unchanged in the sky for centuries. Present shape in the form of long formulas and charts only for the elect, registered in the photograph for the first time in 1979 by Dennis di Cicco  and a few later. Apparently more people have stand on the lunar surface than have successfully photographed the analemma . More about the analemma can be found in Wikipedia. The theory of the formation of the analemma has already been presented on many websites, so there is no need to repeat it here. A clear description can be found at: www.analemma.com. - More advanced readers can trace the physics and mathematics governing the shape analemmy in the paper of Charles H. Holbrow Build Your Own Analemma. More info about our running projects. The list of registered analemmas around the world. 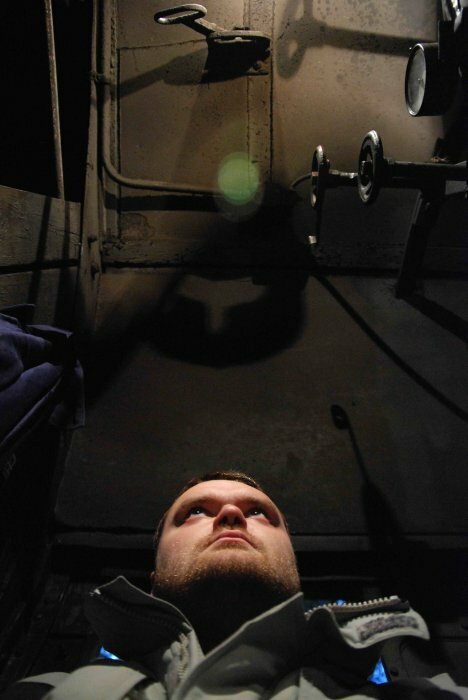 Łukasz Fajfrowski. Physicist, programmer (mainly LabView), amateur astronomer and juggler. He works at International Laboratory of High Magnetic Fields and Low Temperatures. Involved in solargraphy since 2013. Inventor of automating of project, electronic designer, the author of the shutter control algorithm and implementer of project. Maciej Zapiór. Astronomer, photographer and filmmaker, solargrapher. Works in the Astronomical Institute of the Academy of Science of the Czech Republic in Ondřejov. Involved in solargraphy since 2005. Inventor of the project and sequence of expositions designer. Mechanic system camera designer. More info in Bio section. We would like to thank several people for their help in the project. In particular we would like to thank Tomasz Lubin for multiple upload the code to our microcontroller and rewrite the code for the application program to the correct version of the asembler.